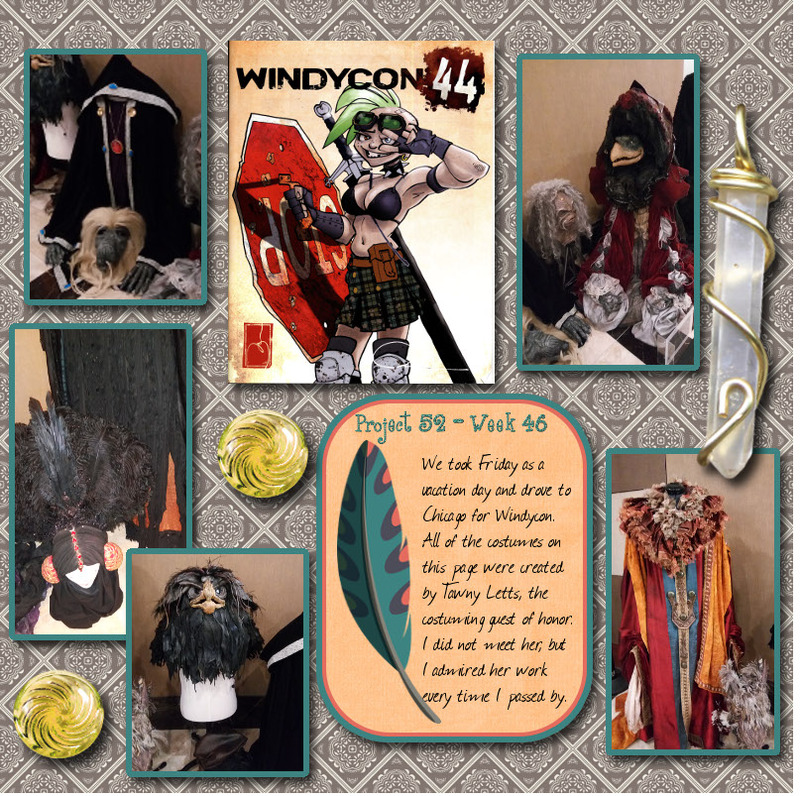 We took Friday off from work and drove to Chicago for Windycon. The van gave us no problems and the weather was fine. Two things went wrong, however. The first, a rather insignificant problem, was that we forgot to stop at Masri Sweets to pick up a tray of baklava for the convention. The other may be a much bigger problem but I won't know for sure until next week. Remember how I said I looked at the technician's computer screen during my mammography and everything looked fine to me? Well, while we were driving to Chicago my cellphone rang. I didn't recognize the number but I answered anyway. It was the hospital saying I needed to come back for more tests. No details were provided. I made the follow-up appointment immediately, but didn't get around to logging in to the hospital's patient portal until today. There I found a letter concerning the test results, which reads, in part, "There is a 7 mm mass in the upper inner quadrant of the left breast. ...No other masses, suspicious calcifications or areas of distortion are seen." I am concerned but not freaking out yet. I plan to wait until I actually hear the "c" word before coming completely unglued. Windycon was good. I attended one panel (a virtual trip to the fabric store), talked with four people I hadn't met before, briefly attended two room parties before retreating due to the noise level, and generally tried to relax, catch up on my sleep, and not think about that phone call. Last night was the November (knitting) Guild Meeting where we had our annual Brown Bag Gift Exchange. As usual, ticket holders were picked randomly and then could either choose a new bag or steal something from one of the previously called people. I had gifts stolen from me three times (each item can be stolen a total of two times, and each time a person has their gift stolen they can either choose a new gift or steal from someone else. I didn't do any stealing, so I ended up opening four of packages. I did not come home with a yarn bowl, the gorgeous skein of pink and black yarn from Bad Amy, nor the lovely almost florescent green yarn. I left with a rather interesting skein of pale blue sock yarn with random dark blue flecks of color. I may knit socks or I may knit something else. But not until my Christmas knitting is finished. This entry was originally posted at https://mrs-sweetpeach.dreamwidth.org/951616.html.